Pumpkin spice lattes seem to be the signal that fall is really here. 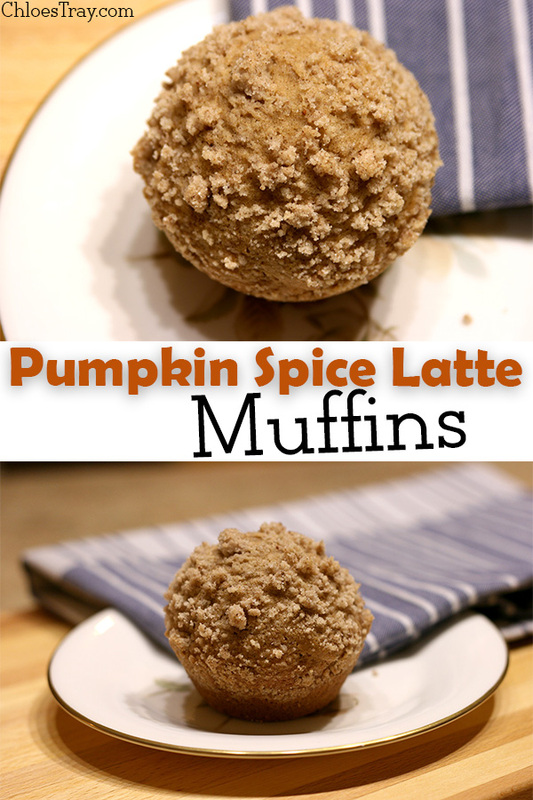 I wanted to make a muffin that really reminded me of a pumpkin spice latte, but without using pumpkin puree. I’m not against pumpkin puree, but unfortunately I haven’t stocked up on it this season yet. So, here is my first pumpkin recipe for this fall season. Preheat oven to 425°F and spray a 12 cup muffin pan with non-stick cooking spray. 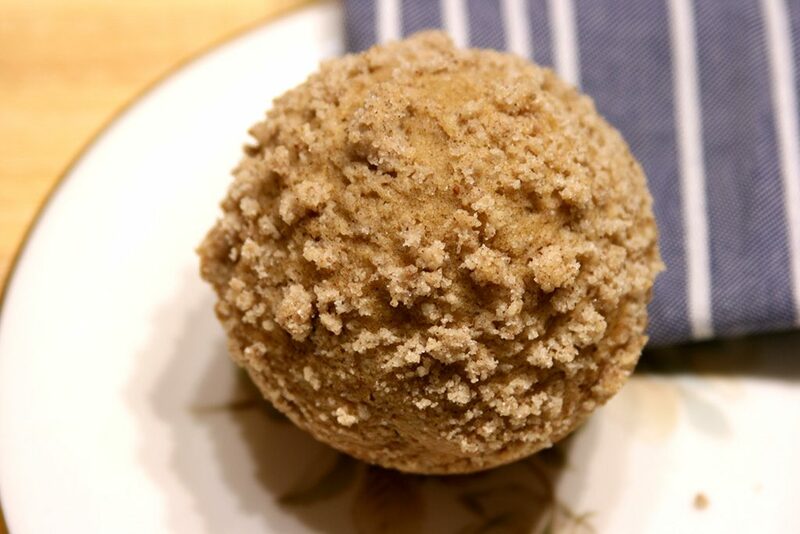 In a large bowl, combine flour, baking powder, salt, and pumpkin pie spice. In a medium bowl, beat together sugar, brown sugar, vanilla, egg, milk, coffee, oil, and sour cream with a hand mixer. Pour into the large bowl with the flour mixture. Beat until just combined, being careful not to overmix. Divide the batten between the 12 muffin cups. Make the topping by stirring together butter, flour, sugar, and pumpkin pie spice until very crumbly looking with no large clumps of butter in it. Divide the topping evenly on top of the muffin batter in the pan. Bake for 5 minutes, and then reduce oven temperature to 375°F and bake for an additional 13-14 minutes. You can test their doneness by sticking in a toothpick to see if it comes out clean, but a good way to know is just by watching them for a nicely formed dome. These can also be made into mini muffins and baked at 375°F the entire time for only 10-11 minutes. 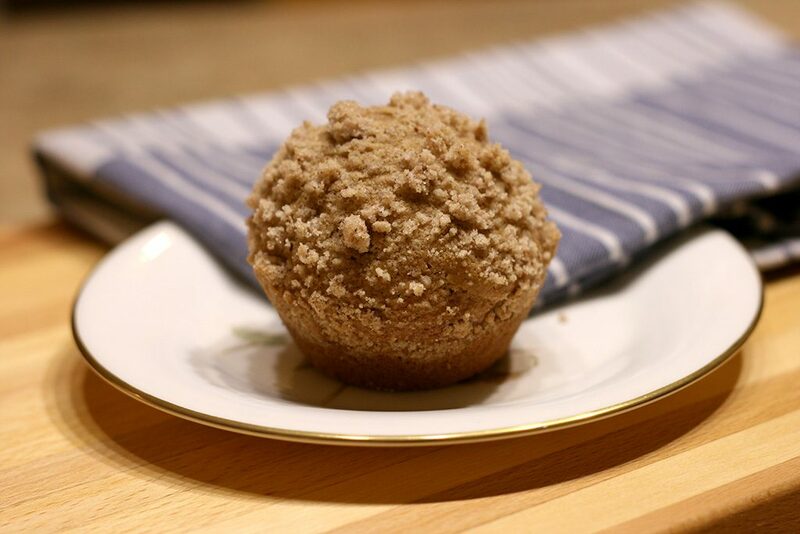 Carefully remove muffins from the pan immediately after baking and cool on a cooling rack.